Direct to garment printing, also known as DTG printing, digital direct to garment printing on textiles and garments using specialized or modified inkjet technology. The two key requirements of a DTG printer are a transport mechanism for the garment and specialty inks (inkjet textile inks) that are applied to the textile directly and are absorbed by the fibers. All direct to garment printers are descendants of the desktop inkjet printer. Some DTG printers have been built using lower-resolution industrial inkjet print heads like those found in large-format printers used to print signs and banners. While no direct to garment manufacturer currently possesses the technology to create their own print heads, some possess exclusive rights to certain heads, which are manufactured for them. 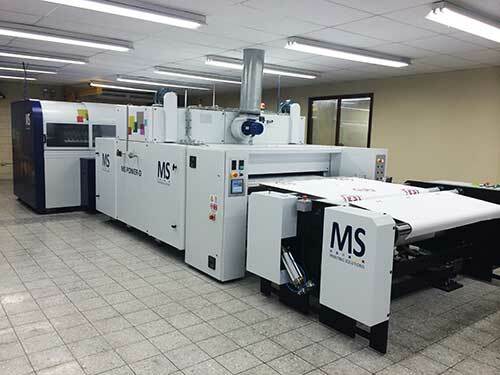 Some inkjet technology manufacturers offer products designed for direct textile printing, providing heads, printers and inks. 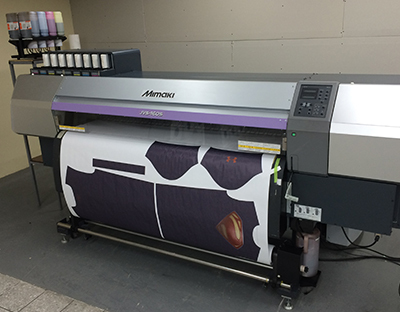 The resolution and speed of direct-to-garment inkjet printers have been increased greatly over the last 8 years (the direct to garment era is generally recognized as beginning in the last quarter of 2004 when Mimaki & U.S. Screen introduced their printers at the SGIA show in Minneapolis). Direct to garment (DTG) printing is most commonly implemented on garments that are made of cotton or cotton blends, although recent developments in technology have allowed for superior performance on light colored polyester and cotton/poly blends. At this time, digitally imaging directly-to-dark garments is not commercially viable, though a number of companies are working on developing this technology.